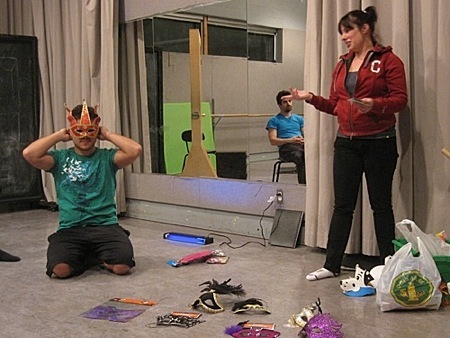 Our MFA in Theatre (Design for Performing Arts) offers advanced studio training in contemporary performance design with a focus on sustainable practices. The program is geared to theatre professionals but also welcomes applicants from backgrounds such as engineering, architecture, etc. who have a keen interest in innovative and sustainable environments, technologies and design for all forms of performance. The objective of the program is to create an environment in which students can explore both contemporary methods of design and new opportunities generated by 21st-century performance-related technologies. The program draws on the concept of sustainability not only from a technological point of view, but also as a paradigm shift to how we design and envision our theatre productions. Students will be engaged in several areas of study: design theory, ecological theory, methodology, practicum, research and design. A collaborative approach to the creative process may include work with directors, performers, designer-mentors, technical personnel and environmental professionals. MFA Designer Renee Brode meets with BFA Actors working on "Job"